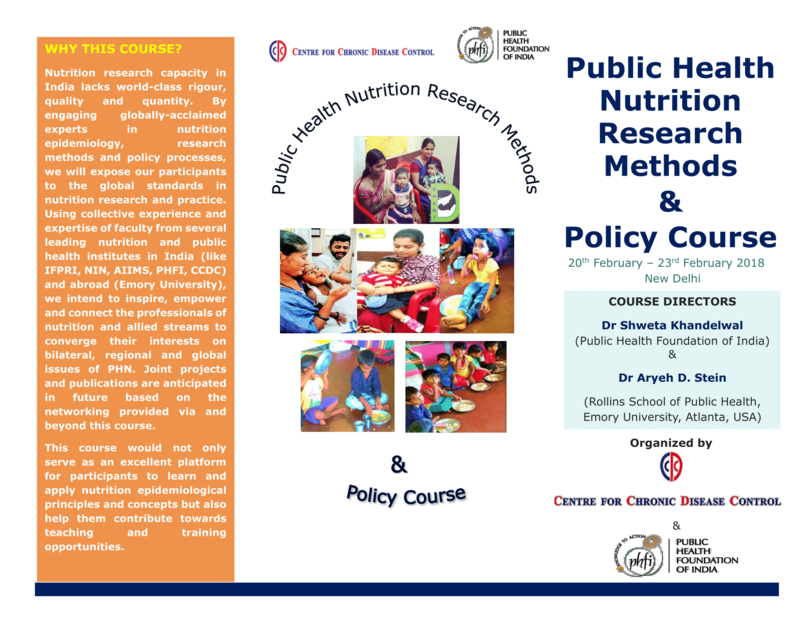 Nutrition research capacity in India lacks world-class rigour, quality and quantity. 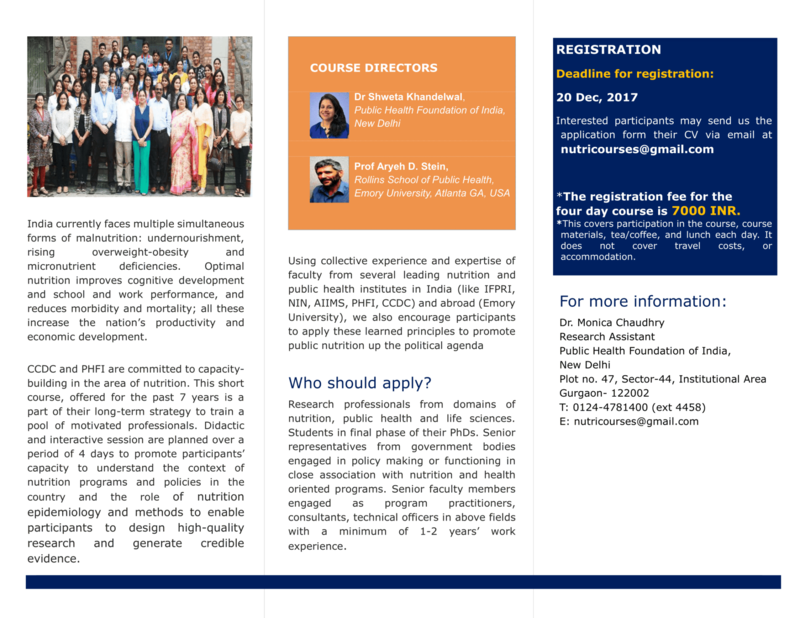 By engaging globally-acclaimed experts in nutrition epidemiology, research methods and policy processes, we will expose our participants to the global standards in nutrition research and practice. Listed on 15 Nov 2017.